Tag Archive | "Connie Mitz"
The Post recently traveled with Ken and Connie Mitz, of Pierson, to Cancun, Mexico on their honeymoon. They visited Mexico for eight stress-free days in September. While there, they saw many sights, and saw first-hand how different their lifestyle is from ours. Ken was especially amazed by all the small motorcycles they use for transportation. He saw women and children—two and sometimes three or four people—on a motorcycle. He said that a lot of the motorcycles were interesting, although not allowed in the states because of emissions. “Another interesting thing is that all the bus drivers’ last names must be Andretti because they all drive like they are qualifying for the Indy 500,” he said. 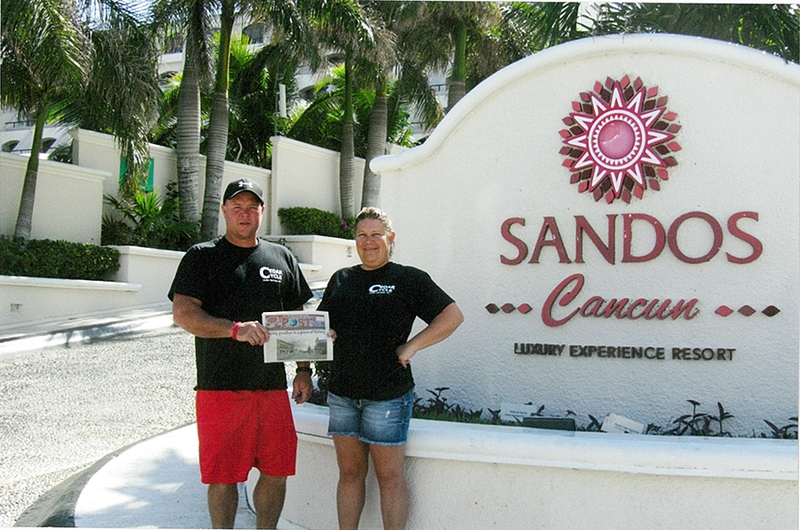 Ken and Connie both took time out of their vacation to read their favorite newspaper, and are talking about returning to Mexico for their anniversary. Thanks, Ken and Connie, for taking us with you!